Corona Schools celebrated its 60th anniversary gala with the launch of its Commemorative Edition of the Monopoly Game. 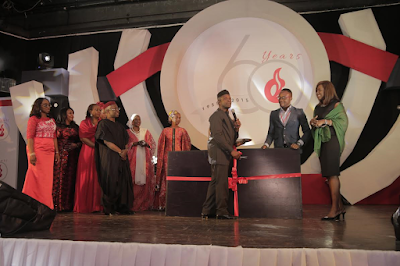 The event held at the Muson Center on the 27th of November 2015 and it had past and present students in attendance. the Governor of Lagos State was represented by the Special Adviser on education Obafela Bank-Olemoh, dignitaries from the educational sector, top government officials and the MC’s of the day Mr. Teju Oyelakin and Mrs. Dakore Akande who also attended the Corona school. Speaking at the event, the Special guest of honour the Vice President of Nigeria Professor Yemi Osinbajo SAN went down memory lane to when he was a student of Corona in the 6o’s. He highlighted the core values of the school which was to deliver world class education to children, inculcate high moral and ethical values and prepare students to be good leaders and global citizens. Also speaking at the event was the Chairman Governing board Mr. Adedotun Sulaiman who spoke about the exciting journey the school has embarked on for the past 60 years and its achievements, Mrs. Olufunto Igun Chair Corona Trust also spoke about the vision of Corona schools that was to transform the educational sector in Nigeria. 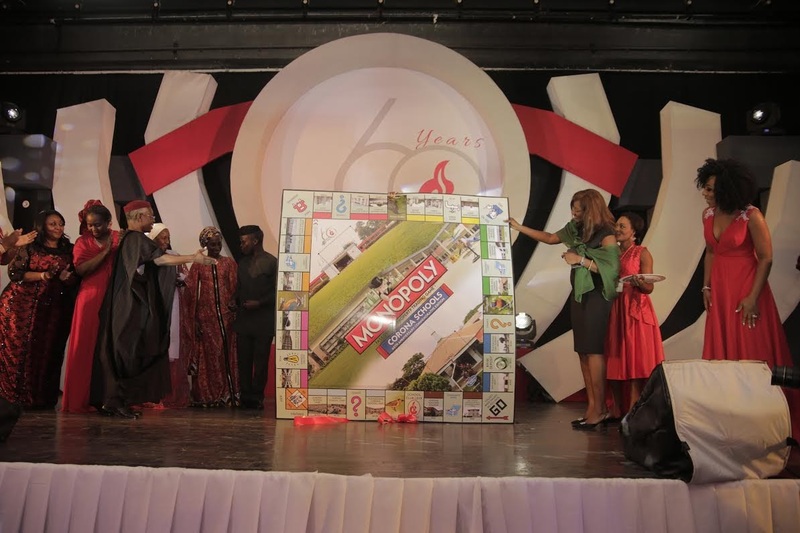 The high point of the gala was the unveiling of the first ever African Monopoly school edition. The Corona schools edition of Monopoly was unveiled by the Vice President of the Federal Republic of Nigeria Professor Yemi Osinbajo SAN,his wife Dolapo Osinbajo,the Minister of State,CEO Bestman Games Mrs. Nimi Akinkugbe an Alumni of Corona schools, the Chairman Governing board Mr. Adedotun Sulaiman and the Chair Corona Trust Mrs. Olufunto Igun. 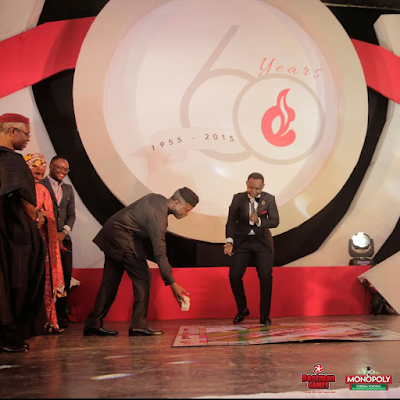 The Vice President Professor Yemi Osinbajo and his wife rolled the dice, while the CEO of Bestman Games spoke of the values and benefits embedded in the board game which includes financial literacy, ethical values, family bonding, learning how to invest and money matters. 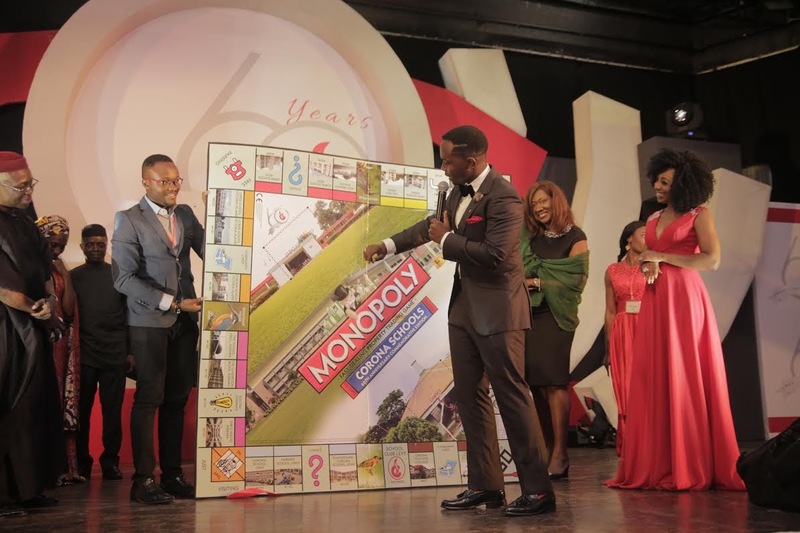 The plan for the launch of the customized Corona edition of Monopoly is to capture the essence of this outstanding educational institution with its unique customs and traditions with a game that will provide many hours of quality family entertainment for generations to come. The event concluded with the award ceremony presentation for outstanding work and dedication and announcement of a Corona Alumni Association. The Pre order portal is still open. Order now for your Customized Corona edition of Monopoly for only N10, 000. They will be available for pickup and delivery the week before Christmas. Visit www.bestmangames.com/corona - or any Corona School in Lagos to order. For more information about Bestman Games and Corona Schools Customized commemorative edition. Please visit www.bestmangames.com/corona and www.coronaschool.org .